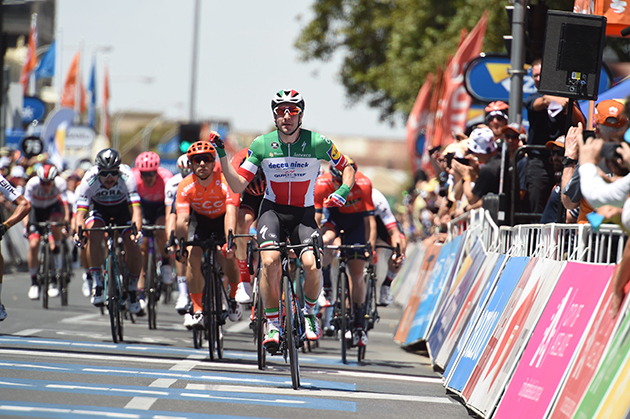 Thursday 24 January 2019: Our team topped the general classification, while Italian Champion Elia Viviani won the sprint standings. Australia must suit Viviani. Here he wins stage one of this year's Tour Down Under. Sirotti photo. Just as in previous years, the Towards Zero Race Melbourne criterium took place on the renowned Formula 1 circuit in Albert Park. For the first time, the riders competed in a team points competition, whereby the quickest riders at the intermediate sprints, as well as at the final bunch gallop, collected points for their respective teams. There was also a sprint jersey up for grabs for the individual rider who notched up the most points. The peloton put on a fast display of racing on each of the 5.3km-long 14 laps. Right from the beginning, the race was characterised by constant attacks. Already in the first lap, BORA – hansgrohe was to be seen at the head of the race. Several riders, including Michael Schwarzmann, Daniel Oss, Maciej Bodnar and Lukas Pöstlberger were also able to collect points for the team in the sprints. Ultimately, E. Viviani ended up as the individual sprint competition winner, while his Deceunick-Quickstep Team prevailed in the team points competition. BORA-hansgrohe finished the day in a very solid third place. 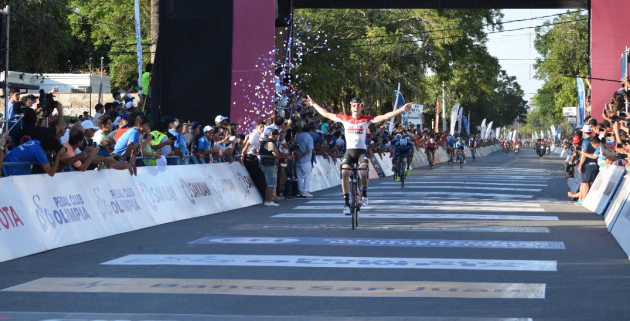 JelleWallays wins stage seven of the 2018 San Juan Vuelta. Specialized supplied this photo of the clamping collar. 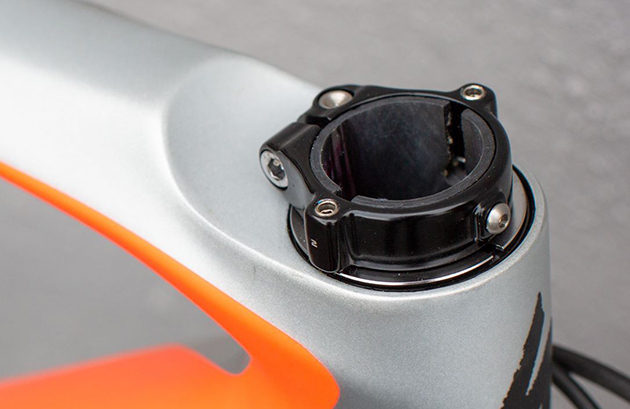 “Based upon reports from the field, the steerer tube collar on selected Roubaix, Ruby, Diverge, and Sirrus bicycles may be susceptible to stress corrosion cracking. When that happens, it may result in a sudden loss of steering control while riding”, is outlined by Specialized Director Global Quality and Rider Care Jon Goulet. An overview of all Specialized bikes involved in recall and sold between autumn 2016 and 2018 is shown in the table.